It's time for some more ice cream! Blue Bell was excited to announce the return of a fan favorite just in time for the holidays! LITTLE ROCK, Ark. (KTHV) – You scream, I scream, we all scream for ice cream. That’s how the song goes, right? Well, put a little holiday spin on it and we have a new jam. Blue Bell is releasing holiday flavors this season, recent ones included Peppermint Bark Ice Cream, Peppermint Ice Cream and Christmas Cookies. In keeping with the giving spirit this season, Blue Bell announce the returned of the fan favorite Mooo Bars. Mooo Bars are vanilla bars coated with rich chocolate and will be available in stores starting on Thursday, Nov. 8 in a 12 pack. 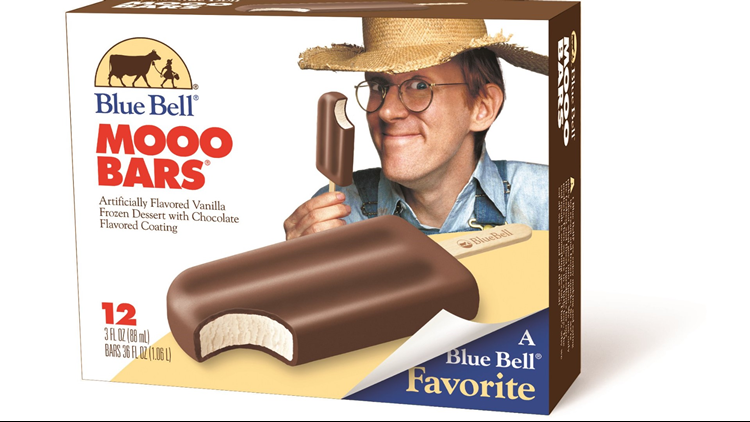 This classic novelty item was first introduced in 1985 and Blue Bell is excited to have these available once again! Initially, we will have limited distribution of this product. Mooo Bars are a great compliment to our classic Fudge Bars that returned in July! If you can’t find them, ask your grocer!